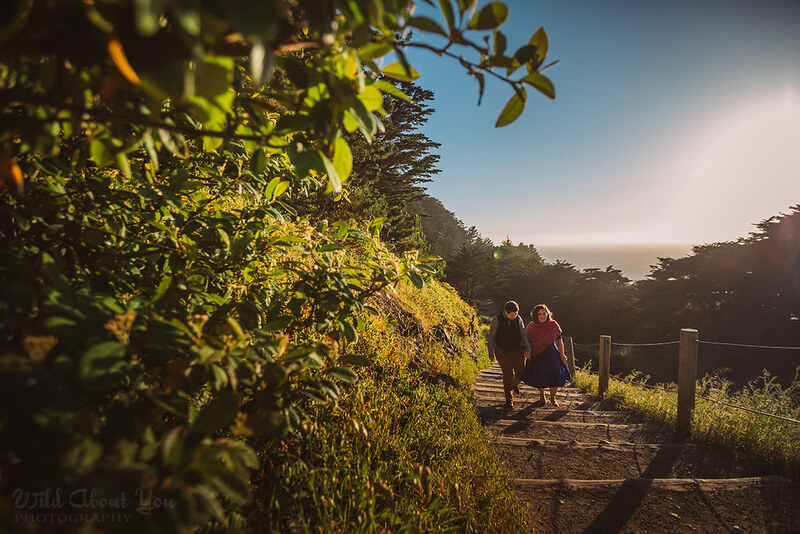 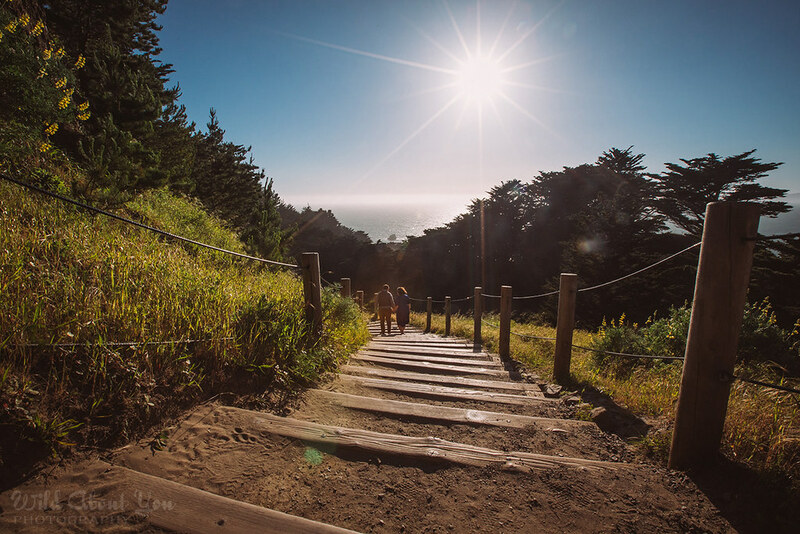 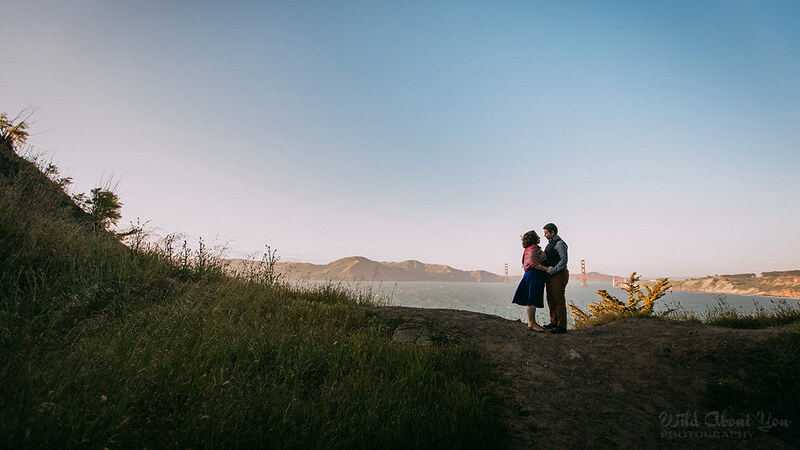 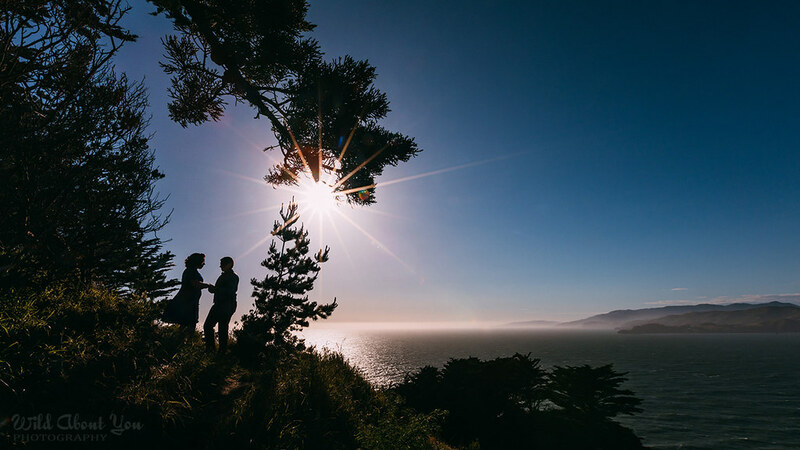 Located on the northwestern tip of San Francisco, Lands End boasts windswept, tree-lined trails overlooking the Golden Gate, its iconic bridge, San Francisco Bay, and the Pacific Ocean. 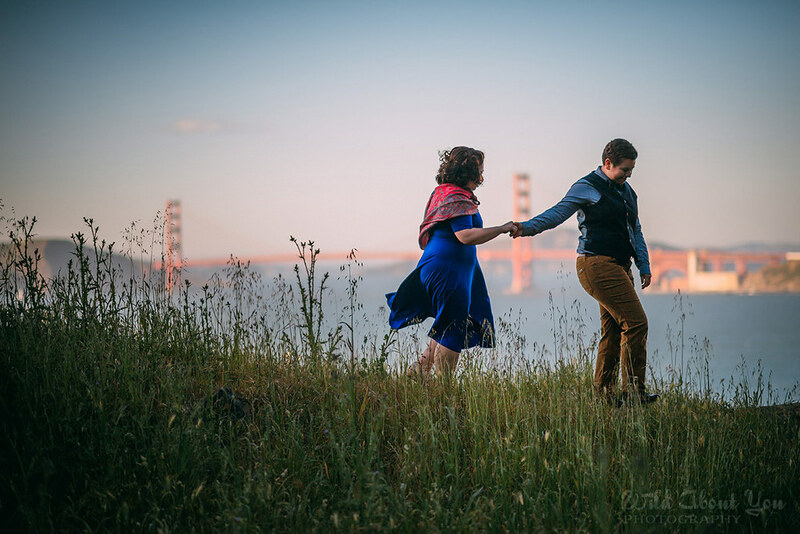 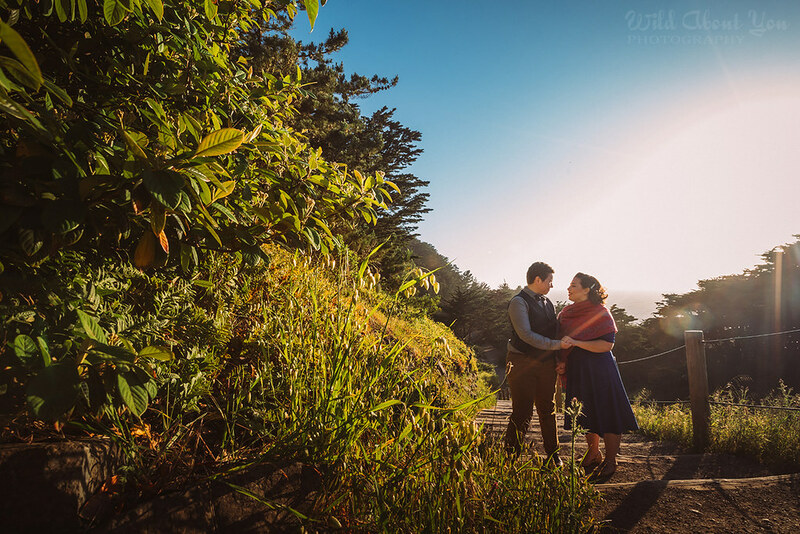 It’s a wonderful spot for a (mostly) leisurely hike and we love when couples decide to do their engagement session there. 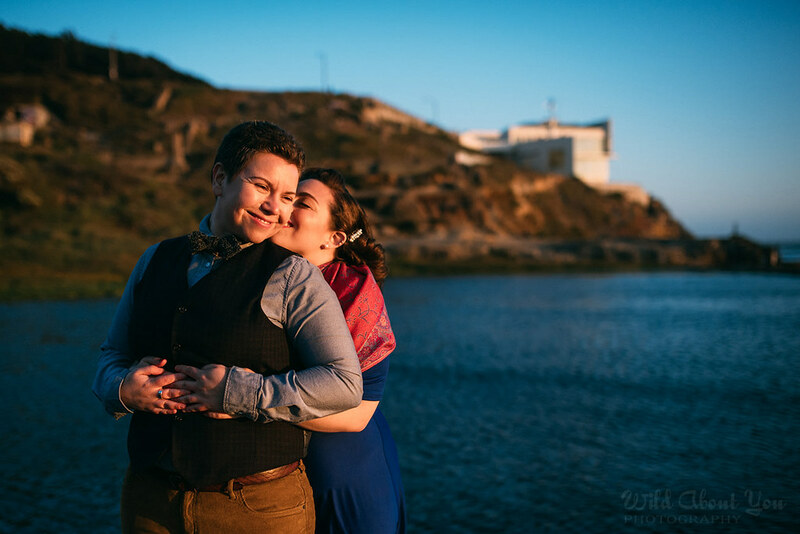 Ashleigh and Natalia were all sparkling smiles when we met up with them one gorgeous spring day, and we’re pretty sure that’s why whales felt comfortable frolicking nearby. 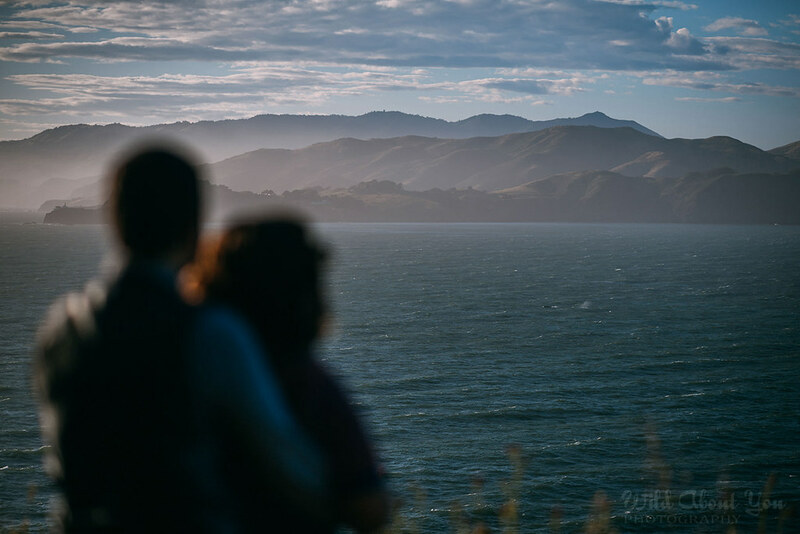 Every few minutes our nature lovers would squeal with delight when they spied one, and we’ll admit it was a challenge keeping our lenses on them instead of the water whenever they did so! 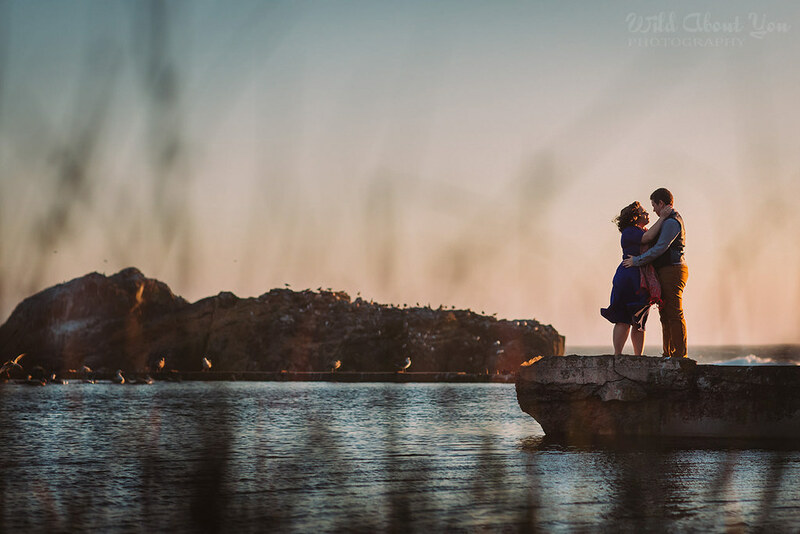 In the end, we were able to capture a smidgen of one as it cruised the ocean’s surface. 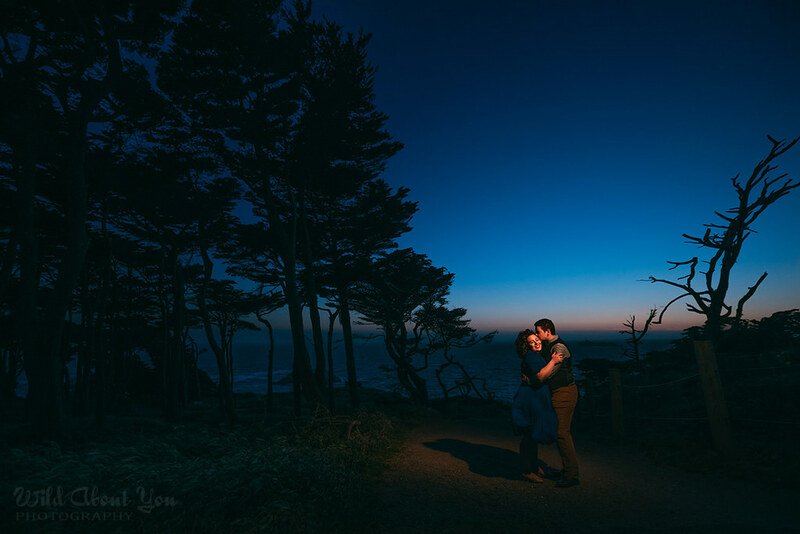 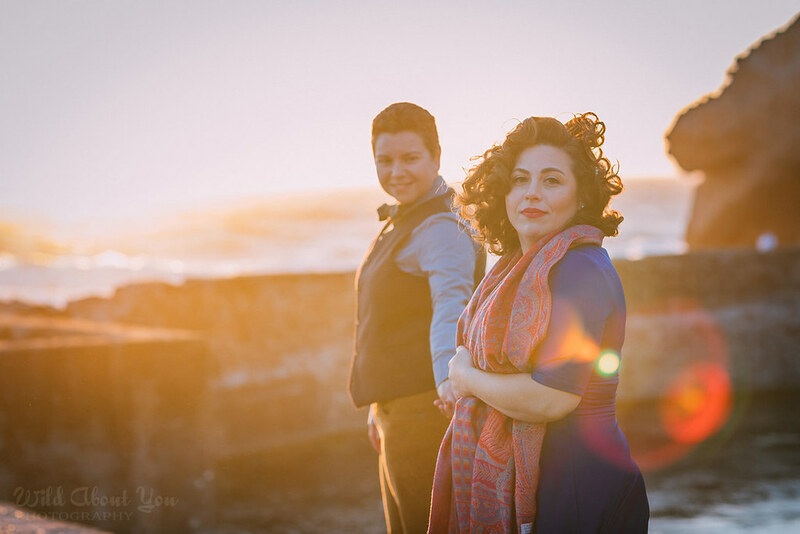 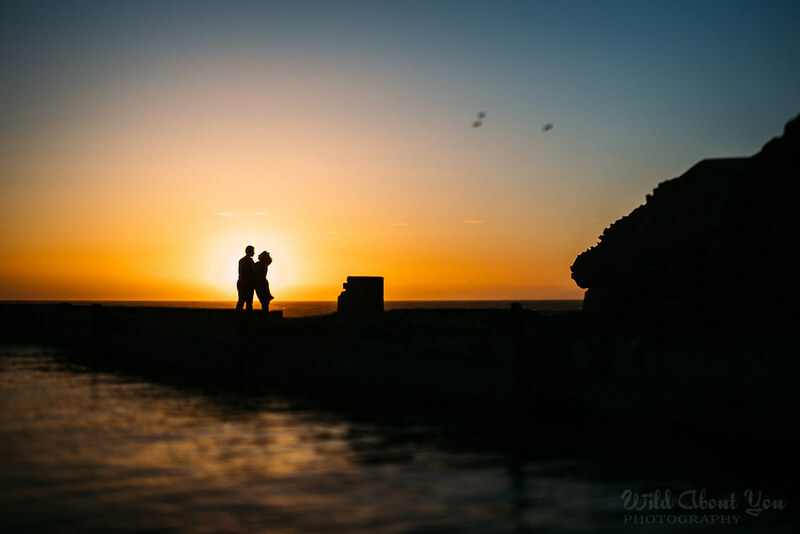 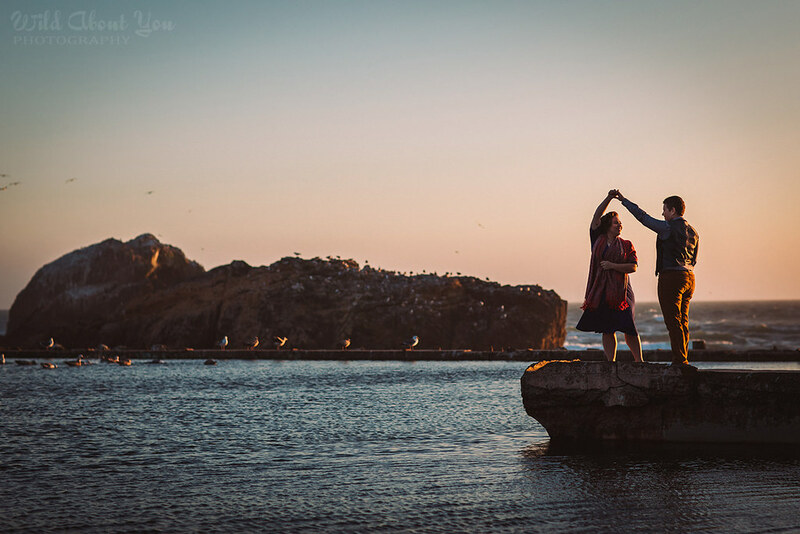 From there, we made our way to the Sutro Baths, where Ashleigh and Natalia snuggled and danced around its crumbling ruins until the sun set. 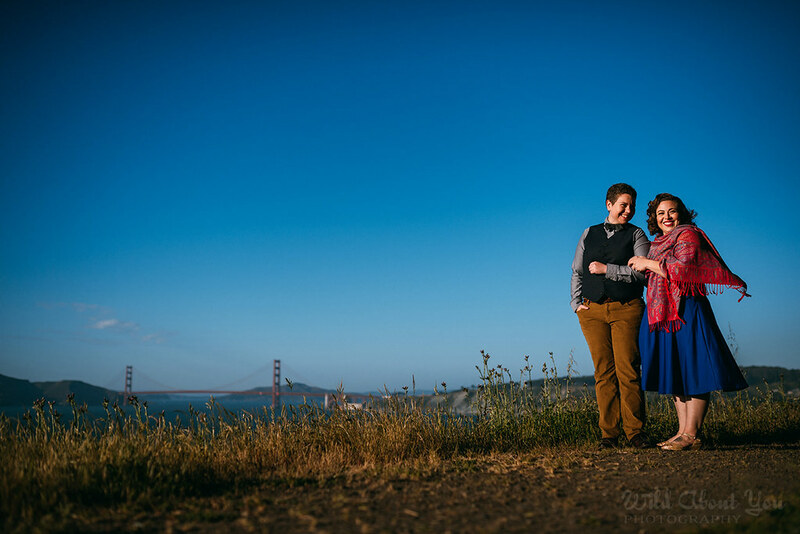 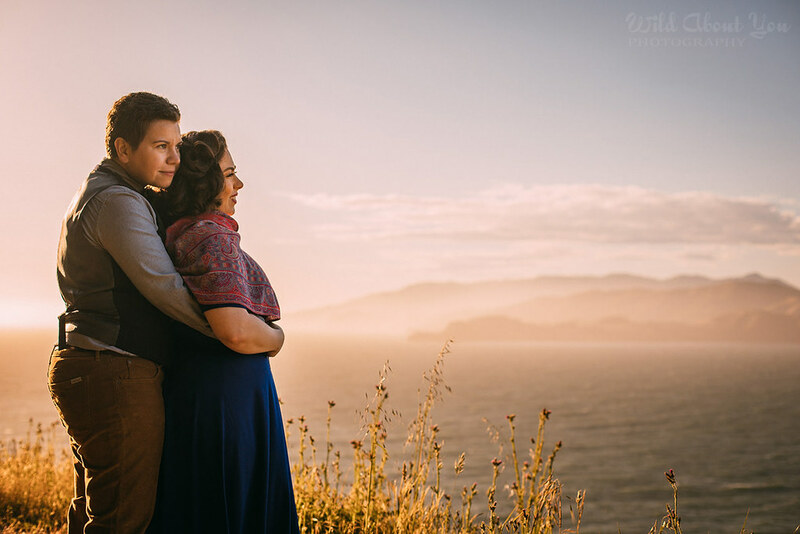 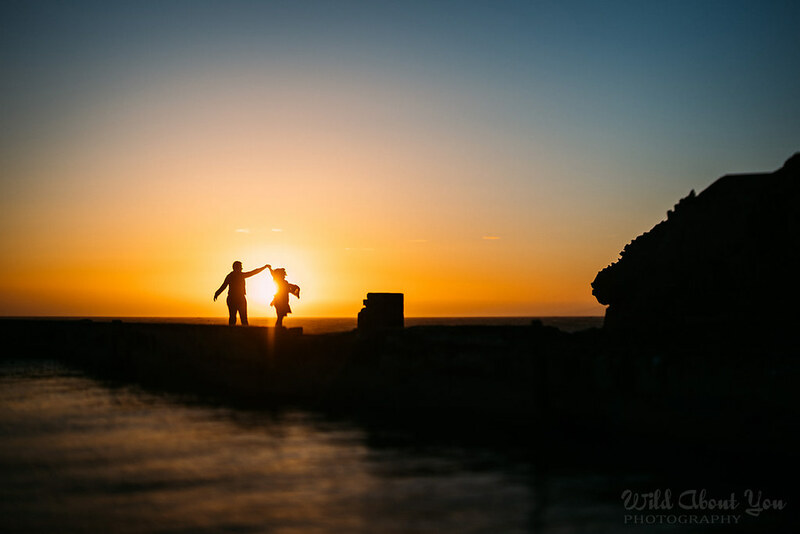 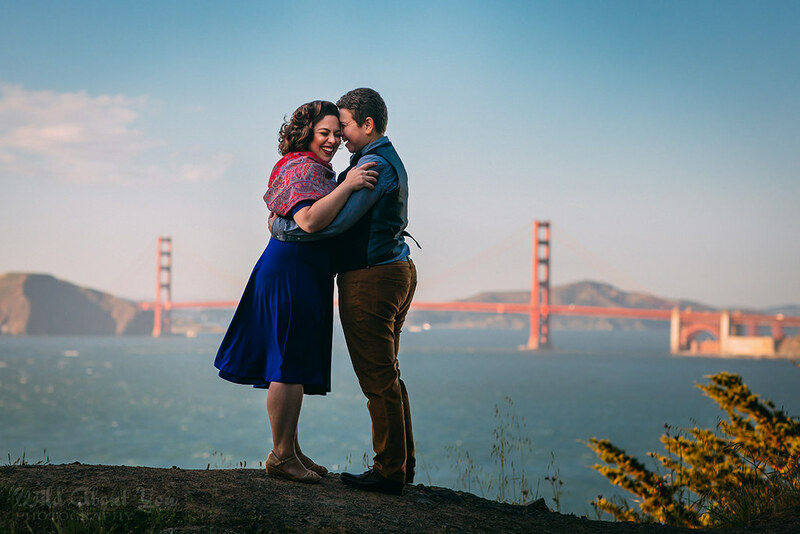 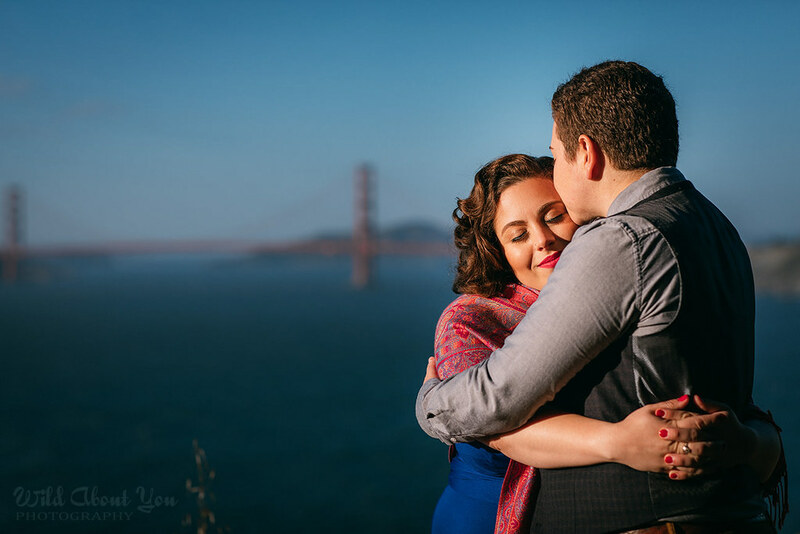 It was the perfect way to end their session, and we’re thrilled to share some of those moments here. 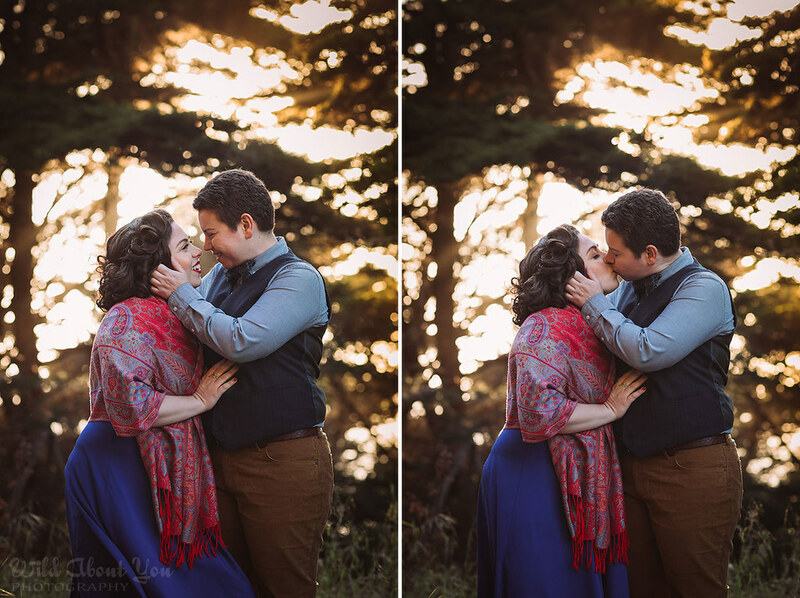 We can’t wait to see what magic awaits them on their wedding day!